As an actor, you have a ton of important things to do to maintain your small business (taxes, am I right?). Between booking the gig and bookkeeping the residuals, it’s easy for self-promotional work like your social media presence to fall by the wayside. Neither of us wants your time online to spiral out of control, so it’s important to make choices that are highly intentional. Let’s start by making a concerted effort to keep your product (yourself) top of mind to your growing online community. 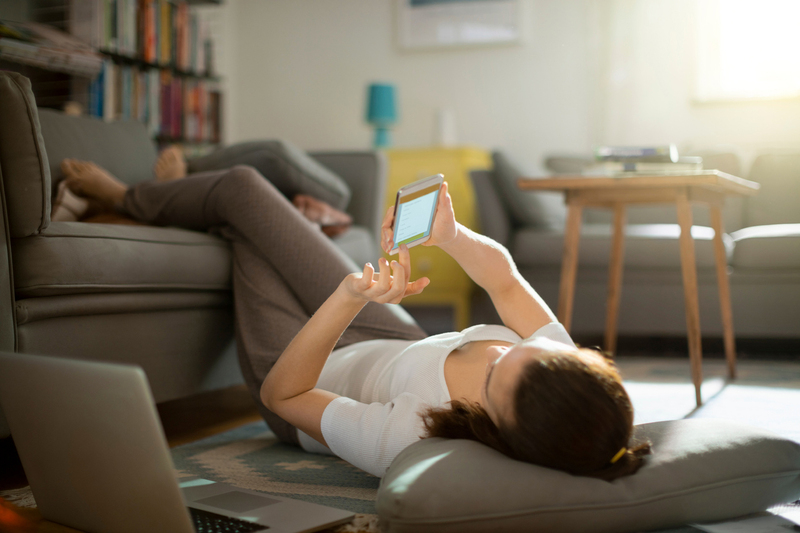 It’s time to use the Internet to network, in yoga pants, on your own schedule, without leaving the comfort of your couch. Facebook, Twitter, Instagram, LinkedIn — all social media platforms provide you with an opportunistic way to stay top of mind in your professional community by giving you the power to keep yourself in a popular direct line of sight. Here are some savvy tips on how to get started (no concealer, teeth brushing, or clammy handshakes necessary). NO, DON’T FOLLOW THEM HOME! Follow their projects and production companies online, so you can eventually have talking points when you bump into them at Starbucks. Imagine how good you’ll look, grande-low-fat-mochaccino in hand, when you are up-to-date on their career and show a genuine interest in their work. If you’ve ever produced something, you know the value of a social media shout out. See a new film? Attend a première? Take part in a workshop? Post positively about it and tag the people who were involved. A little goes a long way. Commend and recommend to others (maybe even use Facebook’s ‘recommend’ feature) and dedicate time to telling your colleagues how excellent they are. Be that person. There is enough room on the Internet for everyone to succeed and lifting your network lifts us all up together. Positive psychology and self-help books have been saying it for years: a thank-you note is a win-win act. If you have a pen and stamps and an extensive address book, then send real paper notes. Is there any better feeling than coming home from a terrible day, only to find a genuine handwritten note in your mailbox? Chances are calligraphy isn’t your forte—luckily, social media is right at your fingertips (someone, please let me know when the day comes that I have finally overused this pun). When you get home, scroll through Twitter/IG and make connections with the people who attended with you, maybe even digitally continuing the conversations you had that evening. By following someone online you increase the chances of being remembered by them, even if it’s months or years before you next cross paths, professionally. Find various ways to provide value to everyone who explores your digital presence. Staying top of mind doesn’t mean your followers need to repeatedly be told the films you’re working on or the auditions you’re heading to—in fact, banging on about that, post after post, might work against you. Actors often tell me they’re worried about bragging online. To this, I have some highly researched, hugely corroborated free advice to offer: the key to not bragging is DON’T BRAG. Stop bragging. Period. That subtle slipping in of a part you’ve secured (humble-bragging) is not as subtle as you think. If you think you’re bragging you probably are, so do yourself, and your followers a favour and don’t. For a quick fix, replace bragging with genuine, heartfelt gratitude. If you still need more convincing to invest time on the ‘net, consider that you never know who is on the other side of a social media account. Sure, it could be a 17-year-old social media intern, but it could also be someone who ends up sitting across from you on an audition panel and is responsible for a piece of your future. Now, go forth! Be present, considerate and intentional, and reap the rewards it will bring you. And remember, as always, the only thing more important than looking good on the Internet, is not looking bad on the Internet. 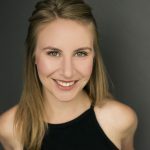 Jenna Warriner is an actor, proud ACTRA member and Social Media Specialist. She leverages her experience in the entertainment industry to help brands start thinking about their content as entertainment for consumers. Her vast knowledge surrounding the growing landscape of social media is informed by a greater understanding of digital marketing and maintained by keeping her finger on the pulse of social platforms. Check out Jenna Warriner’s advice for Dealing with Trolls. Prev Wendy Crewson on the ACTRA Spotlight Podcast!